Agricultural research scientists conduct research to develop new or improved methods of planting, harvesting and cultivating crops or better ways of housing, feeding, managing and caring for livestock. May be involved in more complex interdisciplinary studies such as genetic engineering and the molecular biology of crops and livestock. There is no formal upper age limit for entry into this profession. You may be able to enter relevant training through universities or colleges that relax normal academic entrance requirements for suitable mature applicants. Most academic institutions define people aged 23 years or over as mature candidates. Contact your local FSOLAS office for Career Guidance, planning and support that will help you make informed decisions about the best career direction for you. Graduates in Agricultural Science obtain challenging and fulfilling employment in many areas of industry, food and agriculture and related businesses and services. There is no upper age limit for entry into this profession. You may be able to enter relevant training through universities or colleges that relax normal academic entrance requirements for suitable mature applicants. Most academic institutions define people aged 23 years or over as mature candidates. Amenity horticultural workers are responsible for all stages in the care and planting of flower beds, trees, shrubs and lawns in public parks, sports fields, roadside verges and green areas around public buildings. The work may include general maintenance of green areas plus erecting fences and laying paths. There is no formal upper age limit for entry into this occupation although a level of physical fitness is required. Experience in gardening or other outdoor work, paid or unpaid, can be an advantage. Mature entrants, normally defined as people aged 23 years or over, can find that educational institutions will relax normal academic entrance requirements for higher education courses especially if their previous work experience is relevant and if they show a genuine aptitude for this type of work. Arborists are responsible for planting and maintaining trees, shrubs and woodlands. The work involves diagnosing, treating and caring for existing trees as well as removing damaged trees. They examine trees to assess their condition before determining appropriate action. They may supervise contractors and other workers. Mature entrants with relevant skills and experience, gained in horticultural or forestry work, have a good chance of entry. Colleges may relax their normal entry requirements for those with relevant work experience. Mature entrants, normally defined as people aged 23 years or over. A Biologist is a scientist devoted to producing results in biology through the study of organisms and their relationship with their environment. There are for many areas of study and research: plants (botany), animals (zoology), micro-organisms (microbiology) and the chemistry of living things (biochemistry). There is no formal upper age limit for entry into this profession. Formal qualification such as a degree and up-to-date scientific knowledge are essential. Biology laboratory technicians provide technical assistance to biological scientists. They specialise in routine practical tasks essential to research and development in areas such as genetics, microbiology and chemistry. They set up equipment, prepare and carry out experiments, and report on their findings. They may work in industry, higher education or for research organisations. There is no formal upper age limit for entry into this occupation. Employers prefer applicants with a mature attitude towards work. 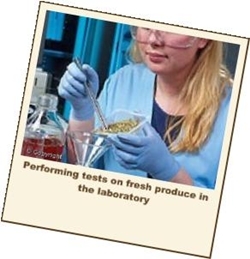 A previous background in laboratory work, as a routine tester or assistant (for example) can be useful. Some colleges may relax their normal academic entrance requirements for mature applicants with relevant experience. Botanists study plant life at all levels. They look into how and where plants grow, study their cells, and investigate the impact that chemicals and diseases have on them. There is no formal upper age limit for entry into this profession. Relevant training may be possible through university or college programmes that relax normal academic entrance requirements for suitable mature applicants. Most academic institutions define people aged 23 years or older as mature candidates. Commercial horticultural workers grow, look after and harvest plant stock. They may specialise in fruit farms or orchards, for example, where the work involves spraying, mulching, pruning, picking and grading. There is no upper age limit for entry to this profession. Experience in gardening or other outdoor work, paid or unpaid, can be an advantage. Teagasc welcomes applications from mature students. Contact your local SOLAS office for Career Guidance, planning and support that will help you make informed decisions about the best career direction for you. Ecologists study the complex and delicate relationships between animals, plants, people and their environment. They may manage a conservation area or give advice to organisations to help them reduce damage to the environment. 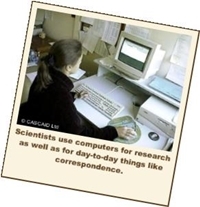 Ecologists often do fieldwork to collect data, and produce reports on their findings. There is no formal upper age limit for entry to this career. Entry to relevant training may be possible through universities or colleges that relax the normal academic entrance requirements for suitable mature applicants. Most academic institutions define people aged 23 years or over as mature candidates. Environmental health officers deal with all aspects of public health. They enforce the law and aim to improve standards. Officers carry out inspections to ensure that health and safety regulations are being followed. Food hygiene and pollution are two major areas of work for officers. They also write and present reports and liaise with other professional colleagues. There is no formal upper age limit for entry into this occupation. The DIT will consider applications from mature students (aged 23 and over) who do not hold the appropriate formal minimum entry requirements. Environmental scientists work to understand environmental problems and then develop the technical skills to cope with and address these problems. There is no upper age limit for entry into this occupation. You may be able to enter relevant training through universities or colleges that relax normal academic entrance requirements for suitable mature applicants. Most academic institutions define people aged 23 years or over as mature candidates. A forestry worker develops, maintains and protects a forest. The duties of a forestry worker are all practical, concerning the general upkeep of forest and woodland areas. Work includes planting and cutting down trees, as well as protecting wildlife and looking after public areas. There is no upper age limit for entry into this work. Mature entrants with relevant skills and experience, gained in horticultural or forestry work, have a good chance of entry. Garden centre assistants sell plants and garden equipment. The work involves taking care of plants, arranging displays, keeping check of stock, retail duties and advising customers. There is no formal upper age limit for entry to this work. Mature entrants with some experience of horticultural or retail sales work have a fair chance of entering training. Mature students are welcome to apply for places on this course. Mature applicants may be accepted on the course if the College/Institute is satisfied that they have the basic ability and academic foundation to follow the course and to take the examinations successfully. They may be invited for interview. Landscape architects plan, design and maintain outdoor spaces such as settings for buildings, parks, private gardens and public recreational areas. They make site surveys , prepare plans and drawings for contractors and supervise site work. They work with plants and often incorporate paved areas, walls and outdoor structures in their designs. There is no formal upper age limit for entry to this occupation. Relevant practical experience in planning, landscape architecture or in an architect’s practice is valuable. If you are aged 23 or over, you may do a college or university course that relaxes normal academic requirements for suitable mature applicants. If you already have degree in a related subject such as architecture, agriculture or other appropriate discipline, with suitable work experience, you may take a postgraduate course. Landscape managers manage, maintain and develop landscapes such as parks, gardens, nature reserves or industrial estates. Landscape managers have an advisory role which involves the planning of future landscapes and planning for future problems which may arise. There is no formal upper age limit for entry to this occupation. Gardeners are responsible for all stages in the care and planting of flower beds, trees, shrubs and lawns in public parks, sports fields, roadside verges and green areas around public buildings. The work may include general maintenance of green areas plus erecting fences and laying paths.